I am moving to Philadelphia!! Elegant Engagements is expanding - I will now be doing weddings in the Metro DC AND Philadelphia areas beginning May 1. 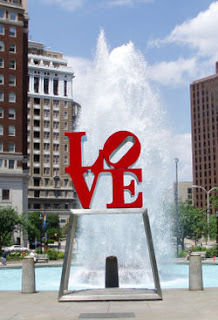 My hubby got a job in Center City and this is a great opportunity personally and professionally for both of us. I am from the Philly suburbs and my family and friends still live close. Its a big adjustment right now but I am excited. My 2007 DC clients should not worry - I will be traveling back and forth and your planning will go on as normal.